Könkkölä is a social employment environment and a Green Care farming environment that is administered by Green Care -keskus Könkkölä ry. The aim is to develop Könkkölä into a learning and employment environment that utilizes nature and animal assisted methods for employment, entrepreneurship and environmental learning activities. Könkkölä offers variety of vacancies, for example labour market training programs, work on pay subsidies, activities supporting rehabilitation, and placements for apprenticeship training and occupational trainees. The whole of the Könkkölä area can be utilized for various entrepreneurship opportunities. It can also be used by schools and academic institutes, organisations and societies. Please feel free to contact us to ask more about the opportunities! Könkkölä cooperates closely with the city of Jyväskylä’s Employment Services Puusta pitkälle venture. Lumo-workshop goes on hiking trips, takes care of the forest area of Könkkölä, visits forests and wildlife and does activities with animals. You may apply if you are interested about nature and animals or you are planning a natural resource profession. You can work in Lumo 2 days per week. You can apply for Verso team if you are interested in gardening and/or nature. Team takes care of the Könkkölä landscape, organizes events, visits nature businesses and natural sites. Verso team is all about the connection to the nature. You can work Verso 3-4 days per week. In Polku coaching you acquire skills and knowledge to be able to work in nature resource guidance. Coaching recruits will come to recognize their expertise as a nature instructor. In Polku-coahing you learn to take care of environment with different types of clients. Polku coaching is for 4 days per week. In Verstas-workshop you get to work on different small scale projects. You can participate in small repairs on Könkkölä properties and do different nature related building projects. You can also repair/service your bike. 3-4 days per week. Animal assisted workshop complements professional know-how by doing work related to animal assisted activities. Animal workshop makes visits to animal related businesses and farms and organizes animal assisted activities to various demographics e.g. other workshops, events and people in rehabilitating work activity. 3 days per week. Könkkölä farm resides in the Kypärämäki and Köhniö area in Jyväskylä. It was used for farming until 1947 when the farm and its premises were donated to the Jyväskylä’s worker’s association for recreational purposes. The grand main building and the two saunas which are located next to the lake Köhniönjärvi were built in co-operation with volunteers as a community effort. Most of the building material was gathered either from donations or from recycled materials. 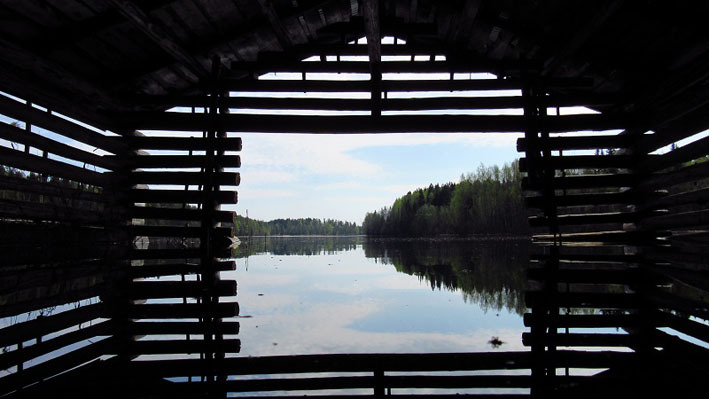 The Könkkölä property also has other buildings that have been relocated from elsewhere or have been built for storage use, such as an old granary, a root cellar and a white storage shelter, which was transferred from the Jyväskylä city center. The Jyväskylä Museum of Municipal Engineering has administered and maintained most of the buildings, excluding the main building and both saunas, since 1984. Könkkölä’s communal history is used as a guideline now that we are building the social activity center. We want to further develop and continue to build the farming environment together with local community.